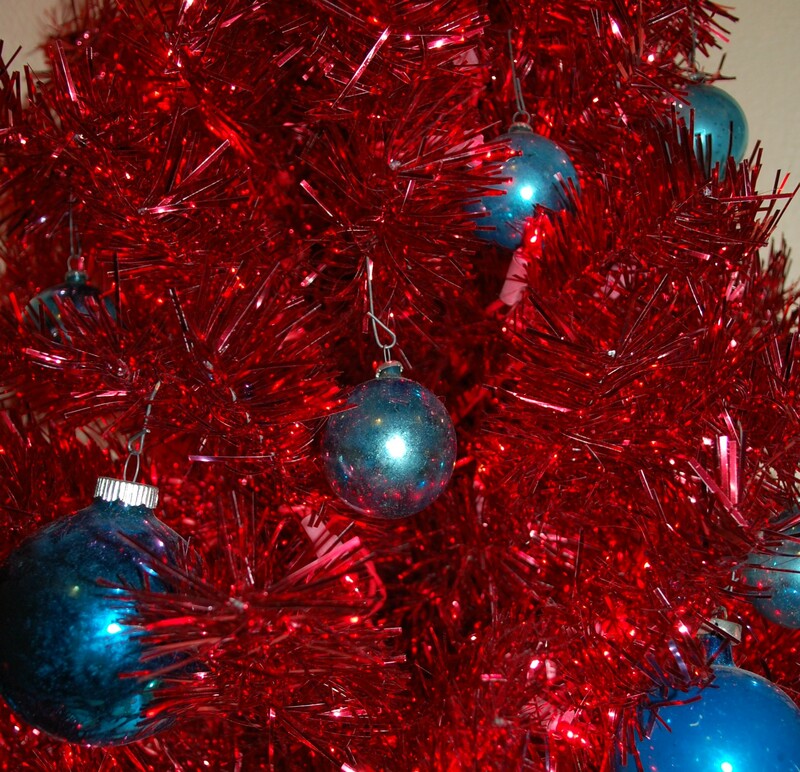 I know that a tinsel tree is NOT what Christmas is all about Charlie Brown, but I sure do love them…. Last year’s red one that I picked up at a gas station of all places looks great this year with vintage blue balls on it. And this year’s prize find, the Pink one I have been searching for for years…. (“for for”?) 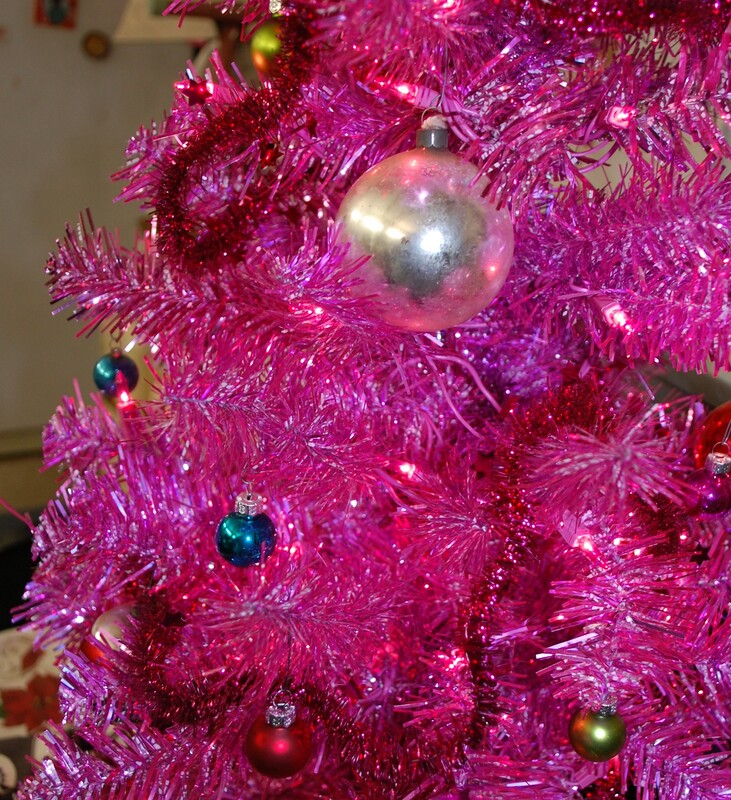 also bearing vintage ornament fruit…..
omg, I love the pink one.